This pocket sized multi purpose sharpener is ideal for sharpening lawn mower blades, machetes, hatchets, axe blades, and shovels plus a variety of other cutting and chopping tools. It's easy-to-grip contoured shape provides for safe, simple sharpening and convenient storing. 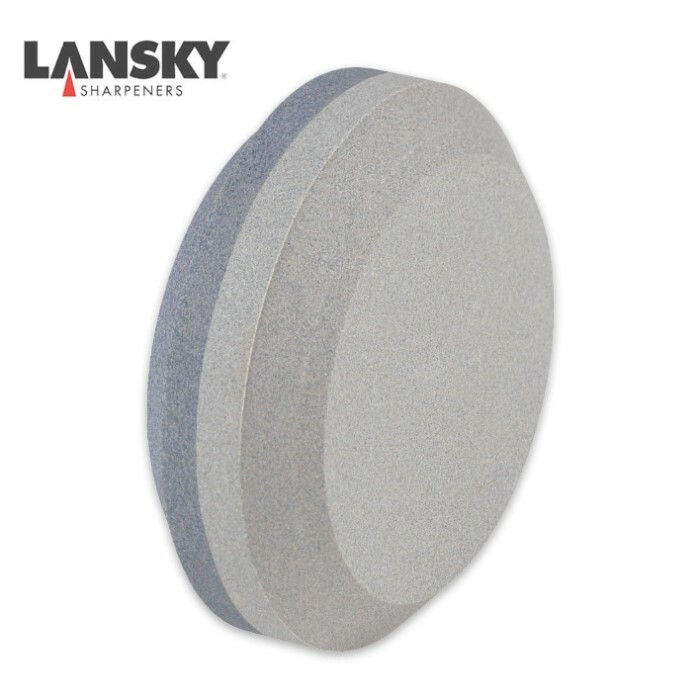 Dual Grit provides a coarse side for quick cutting and shaping, and a medium side for final sharpening and finishing of an edge. THE puck sharpener, pretty much the go-to for any rough and tumble blade. Put a nice edge on my axe and machete, comes with brief instructions on how to use it pretty much just wax on-wax off. Cheap, effective and easy to use. Great Item! I would reccomend this to anyone looking for a Ssweet edge. The dual side is a awesome bonus! work very well can sharpen knives axes and many more. easy to carry and store. great sharpener, but be extra careful when using it. i recomend a leather glove...the first time i sharpened my katana with it i sliced open my hand. not good. Finally got a decent edge on my machetes :D This will definitely be going in the bug out bag! 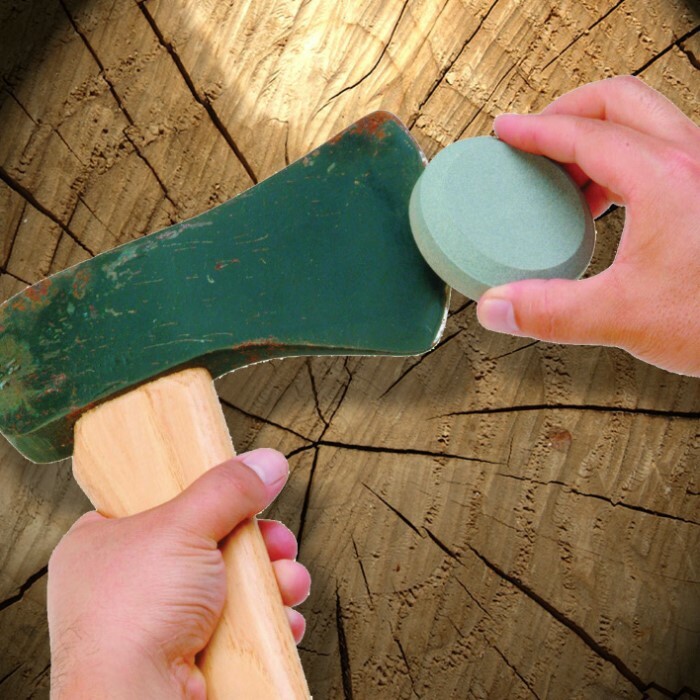 This is a great stone and it easily puts a razor edge on my axe, sharp enough to shave hair off my arm. The dual sided stone is a plus. I'd recommend this to anyone looking to sharpen lawn mower blades, machetes, hatchets, axe blades, and shovels.